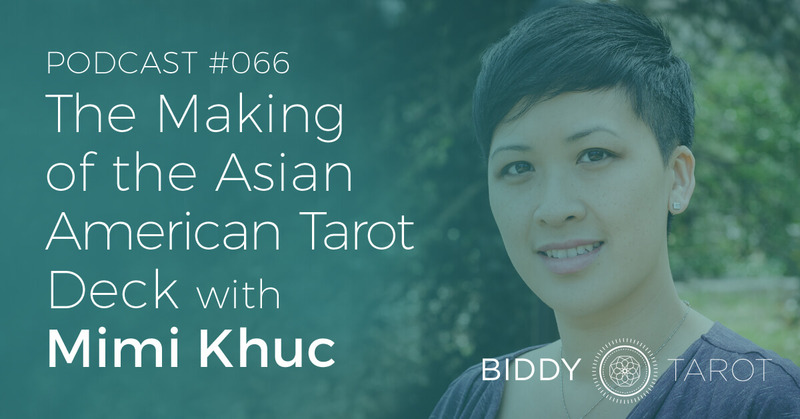 This episode of the Biddy Tarot podcast features Mimi Khúc, guest editor of the Asian-American Tarot deck. This is a really interesting Tarot deck, because its conception/creation process was very different from other decks. In fact, it was created as a way of expressing the different concerns and issues around Asian-American mental health. Mimi is a lecturer in a University, and she wanted to talk about Asian-American mental health in a number of different ways. She found that expressing this through a Tarot deck was one really effective way of being able to talk about some of these issues. That is how the deck was created. I think you’re going to find today’s conversation really, really interesting, so sit back and relax as I talk with Mimi Khúc. Brigit: You’re listening to the Biddy Tarot Podcast, and this is Episode 66: The Making of the Asian American Tarot Deck with Mimi Khúc. And now here’s your host, Brigit Esselmont. BRIGIT: Hello, and welcome back to the Biddy Tarot Podcast. 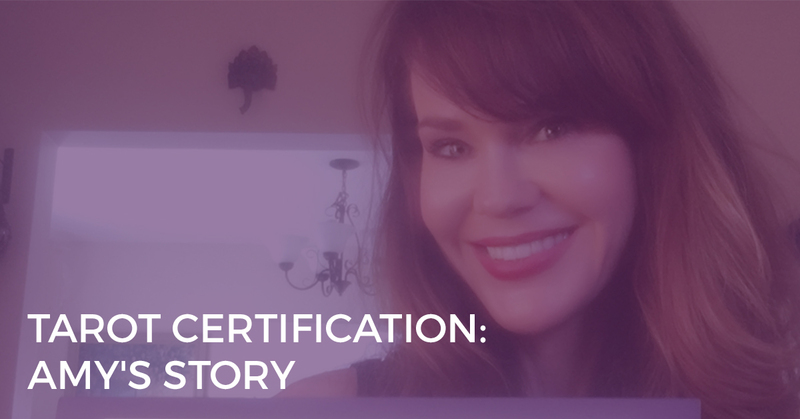 As always, I’m so very excited to be talking with you all about Tarot. Now, today I have a special guest, and her name is Mimi Khúc, and she’s the guest editor of the Asian American Tarot deck. Now, this is a really interesting Tarot deck, because the way in which it was conceived and created isn’t really the same as many of our other Tarot decks have been created. In fact, it was created as a way of expressing the different concerns and issues around Asian-American mental health. And in fact, Mimi is a lecturer in a University, and she wanted to talk about Asian-American mental health in a number of different ways. She found that expressing this through a Tarot deck was one really effective way of being able to talk about some of these issues. That is how the deck was created. Now, this is only a 22-card deck, and they’re really replacing the 22 archetypes of the traditional Major Arcana with figures that are drawn directly from Asian-American life: the Migrant, the Foreigner, the Shopkeeper, the Adoptee, the Model Minority, and the Desecrated Temple. These are just some examples. Again, it’s a really interesting deck, and the fundamental philosophy behind it is bringing our attention again to mental health of the Asian-American community, and also to just raise awareness around potential racism and so on. Hello and welcome, Mimi. It’s so nice to have you here. MIMI: Hi, thank you for having me. BRIGIT: Today I would love to talk with you about the Asian American Tarot that you’ve been creating and manifesting and putting out into the world. But first, just tell me a little bit about yourself and what’s kind of led you into this project. MIMI: Sure. Currently, I am a professor at the University of Maryland, College Park, and I teach in Asian-American studies. I started teaching a little bit about mental health in my work here, partly because I’m actually a survivor of post-partem depression. After I had my daughter five years ago, I had post-partem depression, and that actually got me started thinking about mental health issues in, first, among mothers, but then I’m also Asian-American, so thinking about it in the Asian-American community that’s not often talked about and not really addressed very well. So my work now is thinking about mental health, and that actually is part of what got us thinking about doing a Tarot deck about Asian-American mental health. BRIGIT: Wonderful. Why Tarot? Why are you expressing this through Tarot cards? MIMI: That’s a great question. I had been dreaming up this project with Asian-American Literary Review, knowing that we would have to do something on mental health, something different, some kind of intervention that helps us rethink mental health, starting with the Asian-American experience. And we wanted to be innovative in form, so we were trying to think of different kinds of forms that would allow us to rethink mental health. I’m actually not a Tarot practitioner, so that was not our first idea, but a friend of mine is a Tarot practitioner. His name is Laoung Boi, and I watched him do Tarot readings at an Asian-American studies conference one year. It started out kind of like a party game, where everyone was like, “Oh, do one for me!” It was fun, but as I watched him do it – and he takes it very seriously – I watched the ways that he created meaning from these cards, told stories, and then also helped the people he was reading for create meaning in their lives through this process. I was really struck by that, and it reminded me a lot of fortune telling practices that come out of my own family and community. I’m Vietnamese-American. In the Vietnamese community, there’s a history of fortune telling practices that I’m actually not that familiar with, but I’ve seen it growing up, so I thought, ‘OK, Asian-American communities have all kinds of practices and traditions, ways of thinking about how they navigate the world and making meaning about suffering and different kinds of experiences,’ so we thought, ‘OK, my friend is doing this Tarot reading using a traditional Tarot deck – what would happen if we could redesign the Tarot deck to actually draw from Asian-American experiences? Would that better tell stories about Asian-Americans? Would that help people make meaning differently or in deeper ways, if it actually drew upon their experiences?’ That kind of started us thinking about how to do that. BRIGIT: Yeah, wonderful. And in that light, are we talking a Rider-Waite style Tarot deck, or are we talking something that’s completely different in the way it’s being expressed as Tarot cards? MIMI: I looked into it, and I brainstormed with my friend, and I did a little bit of research, and we decided to design a deck based on the Major Arcana and taking those figures and thinking about what kinds of figures would make sense for Asian-Americans; would come out of the Asian-American spirit. So, we renamed the Major Arcana, coming up with figures that we thought drew from Asian-American history and experiences, but also made sense in trying to rethink categories of experience. We renamed them, but we also wanted to re-theorise them, so we had artists design the visuals, but we also had writers, poets, and scholars actually write text on the back side of the cards to theorise that figure in Asian-American history and culture. BRIGIT: Yeah, wonderful. With those cards, is it something that anyone can kind of pick up and understand and get, or is it more intended for the Asian-American audience? MIMI: It’s both. It’s definitely both. We want it to speak to Asian-Americans, but we actually think of the deck also as a kind of hack into a traditional Tarot deck. Say, if you took out the traditional Major Arcana and put these in instead, it would give a very different reading or a very different kind of understanding of anybody’s experience, if you draw on Asian-American ways of thinking, Asian-American studies frameworks about the world, and drawing on Asian-American history, so how does that inform your own experience? Or how can that explain to you what forces have shaped your life and your experiences? BRIGIT: Yeah, interesting. I’ve never really thought of that way you could take, say, the Major Arcana from one deck and sort of insert it into another one to give it another layer. That’s really fascinating. And it makes me think. Have you connected with other Asian-American Tarot readers to see how this might work for them? MIMI: We have. We’ve had a really interesting response to the deck. We have some folks who are not at all familiar with Tarot and are totally weirded out. They’re like, “What is this?” Especially in academia, because this is a very different kind of cultural production. It’s not recognised as something an academic would produce or use traditionally as a text, so it’s been novel for many people. But then there are those who actually do Tarot, and I didn’t even know. I have friends who do Tarot, and I had no idea, because this is not something we ever talked about. They were super excited about this, because it brought together worlds that they had kind of kept compartmentalised, their Asian-American background, or their Asian-American studies background as intellectuals and academics and teachers, they couldn’t put together with the readings that they were doing in their personal lives, and this was an intersection that they had never thought possible, so they were super excited about it. BRIGIT: Wonderful. I can really see how that might work, particularly as an Asian-American Tarot reader and then being able to relate to clients with these specific cards. I think that’s a great way of going about it. And then also, I think what’s really curious about what you’ve done here is by choosing to express this through Tarot cards, and it’s so interesting to hear you say you’re from the academic side of things that there’s been a little bit of pushback going, “What are you doing what Tarot cards and this?” because I think, ultimately, what you’re doing is, again, an expression of a view of the world, but just using Tarot as the format. I think that’s really fascinating. MIMI: Yeah, and I think what’s happening with Asian-American studies academics is that they’re seeing this as taking academic work, taking theory and giving it a new form, a new life as a way to reach those who are not in academia, so the conversation is not so insular just among ivory tower folks doing research. This is actually a way to talk to people who want to speak about their actual lived experiences. BRIGIT: Yeah, it’s kind of like two worlds coming together and offering a bridge from one to the other. I think it’s great. What are you hoping that will be different as a result of launching this Tarot deck? What changes or transformations or new perspectives do you want to see occur? MIMI: As part of the larger mental health issue – this is one piece out of five pieces that compose the mental health issue – we’re trying to generate a very different kind of conversation about mental health – mental health not simply as a kind of medicalised condition that needs individual treatment. That’s kind of how we tend to think of mental health, right? We have individuals who may be ill, and they need individual care, and we make it a very individualised experience, and what the conversation that we’re trying to have through an arts intervention, and we consider the Tarot cards as kind of arts intervention is thinking about mental health much more broadly and its intersections with social structures, with history – mental health as redefining illness and wellness in the context of things, say, like racism or sexism or immigration experiences or war and trauma and those things shaping our sense of self and our experiences of health. Those are the much broader forces, so we’re hoping that taking the Tarot deck and outlining some of those forces helps us to then think about ourselves as subjects that are shaped by history and culture, and not simply as individuals who experience illness. Does that make sense? BRIGIT: Yeah, absolutely. I’m so wrapped up in this meshing of so many different elements all coming together and being expressed in this way. I think it’s incredibly powerful. The other thing that comes to mind is I think the Tarot cards are always a great way of shifting the energy or the focus onto a thing, and it helps to have much better conversations, so I think when you’re talking about mental health issues and mental wellness, being able to talk about those stories through a Tarot card can often be less confronting than having to go right into yourself and talk about it from self. MIMI: Yes. I really like that you brought that up, because we are excited to see how people actually use the Tarot deck to do readings, not just for themselves but for other people, and the kinds of practices and conversations that can emerge from that, and I like how you frame those kinds of conversations as possibly as wellness practices, or as ways of thinking about or speaking about mental health issues outside of, say, the therapeutic context. 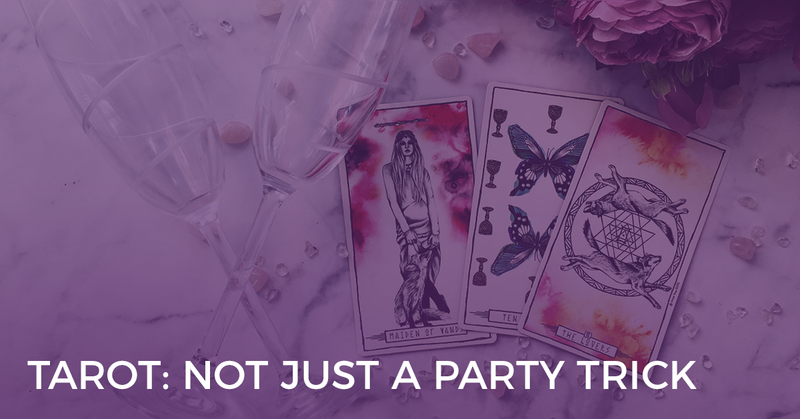 We’re really excited to see what people actually do, the life of the Tarot cards once they come out, how people choose to use them in their practices and in their daily conversations and their relationships. BRIGIT: Yeah, absolutely. It will be fascinating. I know that you’re in production right now at the time that we’re recording this, and actually, by the time that we publish this, your cards will be published as well, so that’s a good thing. But yet, just tell me a little bit about the creation of the cards and then what’s been your process to get these cards produced and funded as well. MIMI: Yes. We’re currently in production right now, and major part of what has made that possible is that it’s community funded. We ran a Kickstarter campaign this summer to both get the word out there about the project and to raise funds to finish the project. The Asian-American Literary Review was a non-profit that does not have a large… It’s not grant based, so it has to raise its funds for these kinds of special projects from the community and from donations, so we did a Kickstarter campaign talking about the issue, talking about the Tarot cards in particular, and we received a lot of support and so much enthusiasm. It was kind of mind blowing. We had no idea. We knew that what we were doing was needed, but we didn’t realise how needed and how much support the community would throw at it. It was so validating. BRIGIT: I’m just looking at the numbers right now: 496 backers, and they pledged $23,517, which is awesome! MIMI: It’s amazing. Our first goal was only $10,000. It was just to finish the cards, and we met that goal in two days. MIMI: Out of a 30-day campaign. And all of that money basically goes to just the costs: the print costs, paying some of the visual artists to work on the cards. BRIGIT: Yep. I mean, how do you think that the Kickstarter campaign was so successful? Because I think I remember that you… Was it Half Post? Or maybe it was somewhere else, but I remember you had some great publicity around it at the time, so tell me a bit about how you got so many folks into it. MIMI: At first, it was word of mouth and Facebook. We had contributors to the issue. We tried to get anyone who contributed to the issue to reach out to their own networks to publicise and to talk about the Kickstarter. We posted on Facebook, where people shared it and shared it, but it got attention from Washington Post and NBC News Asian America. We did a few spotlight interviews about the campaign on those news outlets, and that garnered even more attention for it. BRIGIT: How do you get onto the Washington Post? That’s amazing. MIMI: Pure luck! People who know people who then see it on Facebook and then reach out to you, so we didn’t actually reach out to any of those folks; they reached out to us, which was kind of amazing, having heard about the project, but also, I think, seeing the amazing support just in the first two days. I think the exponential support at the beginning is what got people’s attention. BRIGIT: Yeah, absolutely. The other part of me is sort of thinking this is something that is so unique, but also clearly it’s something that’s been needed and something that people are looking for. I think hats off to you. I think you’ve really connected with people in a very powerful way through these cards. It’s great. MIMI: Thank you. We’re continuing to get a lot of enthusiasm and support as now we’re moving into production, and people are wanting to know when the issue comes out, but also people are interested in now thinking about community spaces that could use the issue. We’re starting to gather a list of where we can donate, because we were able to raise enough money to then have a larger print run, so now we can donate to community spaces and organisations so that it can reach more people. BRIGIT: And I’m just even imagining having circle groups, where people can connect and talk about these cards and what they mean for them and relate that to their own personal experiences. That could be really powerful. MIMI: Oh, that would be amazing, and we would love to have people organise those kinds of things in their own communities and tell us about it and talk to us about what they’re doing once they get the cards in their hands. BRIGIT: Yeah. What’s next? Once the cards are in production and they’re ready to go, what else do you see coming up for this Asian American Tarot? MIMI: We are scheduled to be ready for shipping in January, and currently right now we have our pre-order up, and people can order it, but once it comes out, the next step for us is, like I said, getting it into community spaces, but also we have organised a teaching program and having professors across the country sign up to assign the text, assign the issue, assign the Tarot cards to their classes as a classroom text, and then have their classes participate in different kinds of activities around the text, and the teaching program also will connect classrooms across the country to have multi-classroom conversations around the text. BRIGIT: Oh, wow. I love it. I love it in the context of what you’re creating, but I also love it in the context of the fact that, again, you’re taking Tarot, but you’re applying it in very different ways and introducing it to very different audiences, again, in a very different way, where it’s actually becoming part of a teaching practice, and it’s not just about fortune telling, look into my crystal ball, but it’s a way of telling stories. I love it. I’m very excited. MIMI: Thank you. Yeah, I’m really excited about the teaching program. That’s kind of where our attention is now pointed. How many people can we get on board this program? What kinds of classrooms could be using this kind of text? I’m excited to think about different kinds of classes: classes in Asian-American studies, but also in literature, or even in religious studies, having cross-disciplinary conversations around these issues. BRIGIT: Yeah. I’m even thinking with, say, the more regular Tarot cards, how they could actually be used in a similar way but more, particularly around the archetypes of the Major Arcana cards, and talking about the different spiritual lessons that are in those cards and, again, just using it as a teaching tool and conversation starter versus getting a predictive fortune telling kind of tool. Yeah, really interesting. And then, I think earlier you mentioned that this is just really one of five things that you’re doing around this. What are the other four? MIMI: The other four parts are a packed mock DSM. Do you know what a DSM is? MIMI: The Diagnostic Statistical Manual, which is the Bible in psychology that lists out different kinds of mental disorders and mental illnesses, and they were currently on number 5, and they kind of renew them and add things or take things out over the years as we have better understandings of mental health issues. What we decided to do was to make an Asian-American edition, where we had artists, writers, scholars come up with all different categories and new frameworks to think about mental health. If we were to rewrite the DSM from an Asian-American’s perspective, what would that look like? That’s one of the pieces that we have. Another piece we have is testimonial tapestry, which is a large fold-out of testimonies about mental illness. We did a large call and had people in the communities submit their experiences, and we wove it together into a large tapestry to represent the kinds of suffering and woundedness in our communities. We also have a treated pamphlet on post-partem depression. After I had my daughter, there’s those standard pamphlets that doctors give out, and one is on PPD (post-partem depression), and most mothers just throw it away, or they glance at it, and it feels clinical. There’s a list of symptoms, but it doesn’t really feel real, and you don’t think it would ever happen to you anyway, and you throw it away. What I decided to do was gather other survivors of PPD to take one of these standard info brochures and basically rewrite it, write over it, comment on it, redact it to insert a kind of Asian-American experience. What does it actually look like among Asian-American mothers? We’re reprinting that brochure once it’s been treated by writers as now, hopefully, a much more helpful version of the brochure for Asian-American mothers. BRIGIT: Yeah, wow. So creative! I love it. MIMI: The last piece, besides the Tarot deck, is a stack of handwritten daughter-to-mother letters. Something that I think we have trouble talking about in the Asian-American community is mother-daughter relationships and the kinds of intimacies and tensions and balances that happen along that relationship in families, so we had writers write handwritten letters to their mothers that we’re printing as a stack. BRIGIT: Wonderful. Goodness me! It’s such a diverse array of, again, expressing and communicating what are very important issues and ways of seeing things, and it’s great that Tarot is in there as well. MIMI: Well, actually, I think part of why the Kickstarter was so successful is because we highlighted the Tarot cards. We talked about all five components of the issue, but we really highlighted Tarot cards, because I think that is, one, visually stunning. The images are just visually stunning, but I think that call to people in a way that the other forms, even as innovative as they are, don’t speak and call people as much as the Tarot cards have, and that was very clear with how people responded to the Kickstarter. I’m a little bit biased, but I am the most excited the Tarot cards and how people are going to use it. BRIGIT: Yeah, absolutely. I think it will be so interesting to hear once they’re actually published, how it’s getting out into the Tarot community, but also the Asian-American community, and the mental health community as well. Lots of different avenues there. MIMI: We hope to make conversation between all of those communities. BRIGIT: Yes, absolutely. And once the cards are ready, where is the best place for people to get a copy? MIMI: On the Asian-American Literary Review’s website. They’ll be ready right there for ordering. BRIGIT: All right, fabulous. We’ll make sure that we have that on the Biddy Tarot site as well in the show notes for this podcast, and then you can click on that and go and check out the Asian-American Tarot deck. Awesome. Is there anything else that we haven’t covered today that we should cover that people really need to know about this deck? MIMI: No, I think that’s it. We had a great conversation. Thank you so much. BRIGIT: Awesome. It’s been my pleasure. 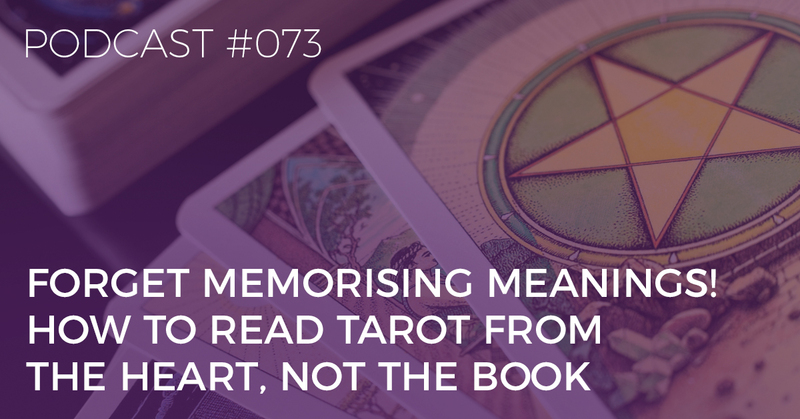 It’s been so interesting to hear about how so many different elements have really converged, and Tarot is kind of that glue to bring it all together. Yeah, it’s very, very exciting, and I’m really glad that you and your team have been working on this and are ready to bring it out into the world. I hope it goes really, really well for you. BRIGIT: All right. Thank you, and we’ll speak soon. BRIGIT: So, there you have it. I hope you enjoyed that conversation with Mimi and I as we learnt all about the Asian American Tarot deck. Now, if you enjoyed today’s podcast, please head on over to iTunes and leave a review. We’ve had some awesome reviews lately, and I absolutely appreciate it very, very much. Make sure you leave a star rating, and some written feedback would be really, really lovely. I hope you have a really great week ahead, and I look forward to connecting again very soon. Thank you, and bye for now.